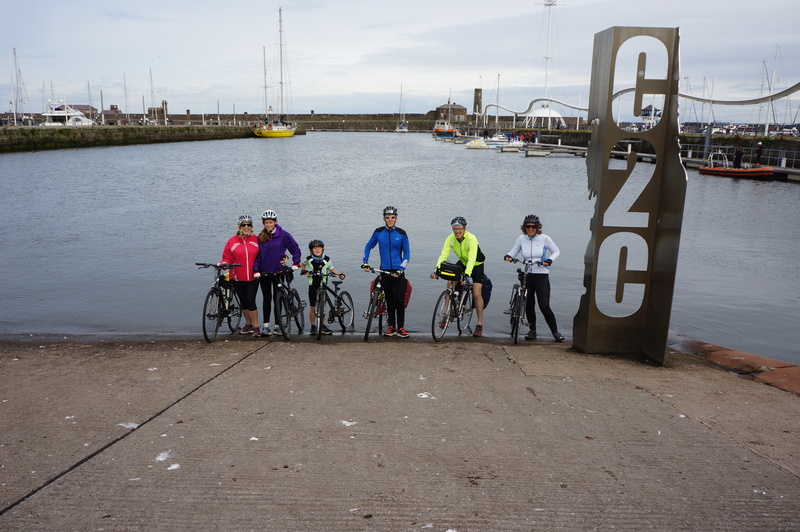 It’s over a month since my family (including my Sister in Law) and I rode the Coast to Coast (C2C) cycle route from Whitehaven to Sunderland. 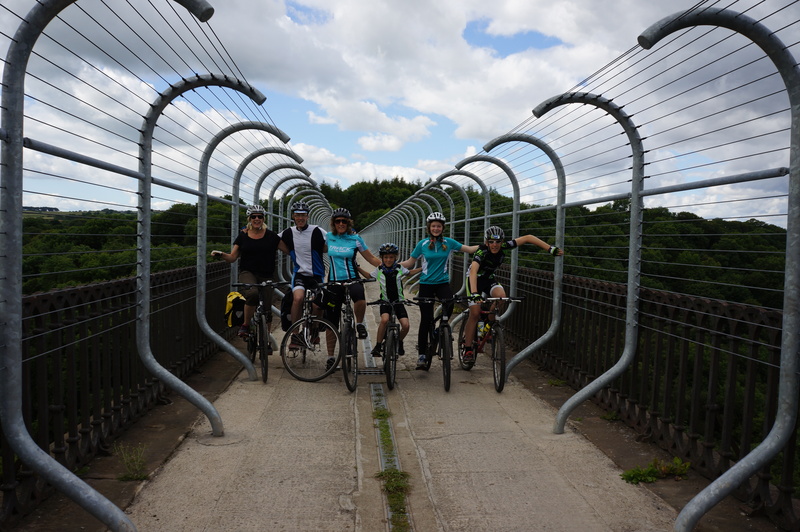 I’ve had an action packed summer, hence the delay in finalising this write up of our ride. 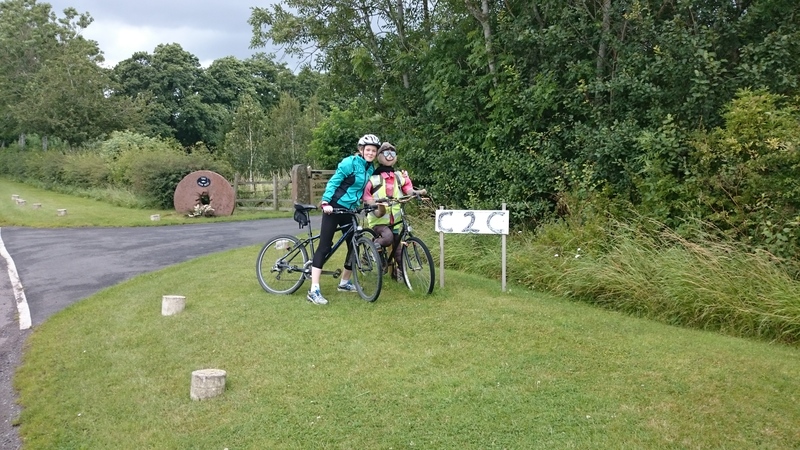 We cycled a total of 146 miles and had a great time. The route goes through stunning scenery from start to finish, and cycling gives you time to really appreciate the views. 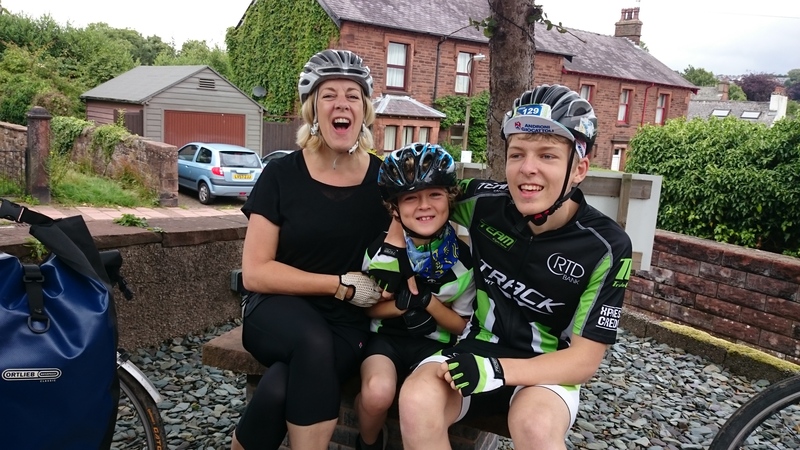 I’m indebted to my parents who acted as our support crew for the ride; driving our car across the country full of our clothes and food, meaning we only had to carry our picnic lunch and waterproofs on our bikes. As regular blog readers know, I’d been planning the trip for several months. When I was bed bound I decided that if I ever recovered I would cycle the C2C, so last summer when my recovery was progressing well I started thinking about this. Whilst I felt mostly confident about the challenge, In the back of my mind I was still worried that I wouldn’t be able to complete such a strenuous, multi-day challenge. However I’m thrilled to report that I did manage it, and absolutely loved it. I cycled up every single hill, and there were some big ones. My fitness definitely increased over the week, and by the 4th day I was tackling hills that would have terrified me on day one. Best of all there was no sign of the dreaded Post Exertional Malaise. Proving that I no longer need to pace my physical activity. The forecast for the day was heavy rain, all day, so we were thrilled when after breakfast it stopped raining and we set off in the dry. Day one was mostly uphill. Starting out at sea level there’s only one way to go: up. The first part of the day was a gentle incline on an old railway track. After about 10 miles we stopped for an early lunch before setting out on ever steeper hills for the afternoon. At some point it started raining, and by the time we got to the top of the steep Whinlatter Pass we were all soaked. 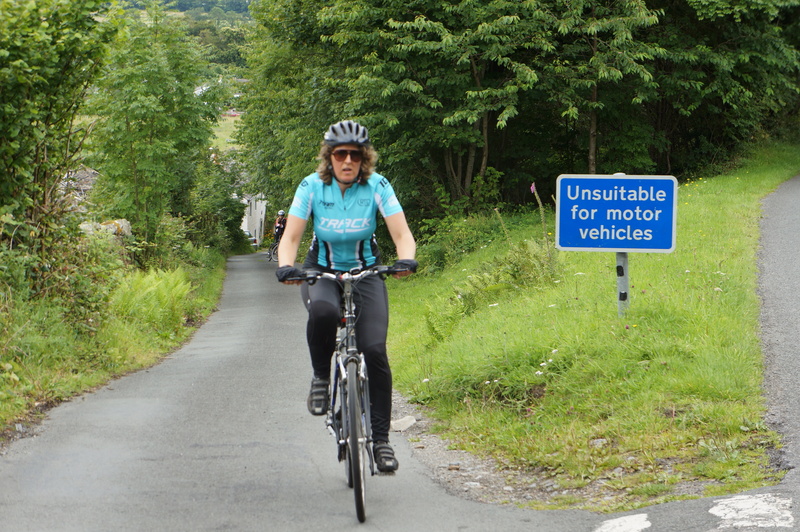 Fortunately from there it was downhill into Keswick. We arrived soaking wet, muddy and exhausted, but a shower and dinner revived us. This was a rest day for some of us. My legs were aching badly when I woke up, reminiscent of the old ME aches, but of course this time there was a reason for the aches. I bought some magnesium oil and sprayed this on liberally and for the rest of the week had minimal aches. 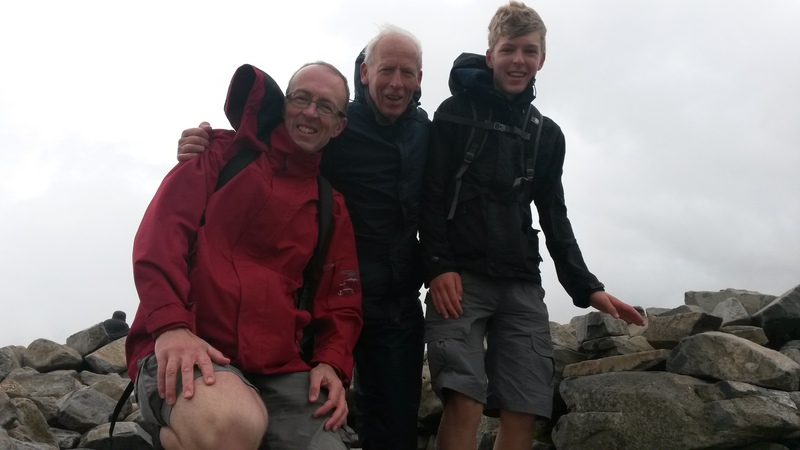 I don’t know how much of that was due to me acclimatizing to the cycling and how much was due to using the oil, but I was relieved my legs felt OK.
My dad, husband and eldest son decided not to rest, but instead climbed the highest peak in England: Scafell Pike. 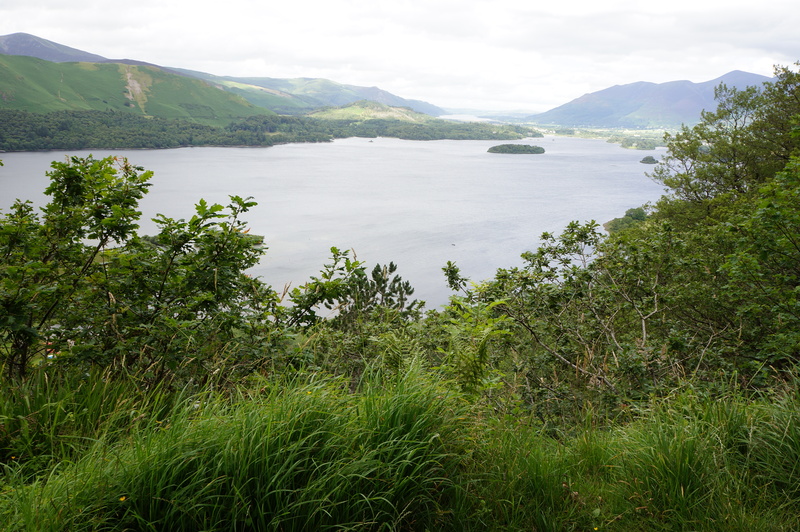 The rest of us took a drive to a local view-point at Ashness Bridge and enjoyed a short walk. We set off in the rain, with another wet forecast. We cycled through some stunning lake district scenery, but the low cloud meant we didn’t get the best views. We were on some lovely quiet tracks and minor roads for most of the day, but we did have to cycle alongside the A66 for a short distance. This made me appreciate the traffic free nature of the rest of the route even more. It rained all morning and we were relieved to find a pub for lunch so that we could dry off and warm up. Fortunately after a leisurely lunch the weather had brightened up and we had a dry, mid afternoon arrival in Penrith, and had the time and energy to stock up on food at the local supermarket. We spent the night at the Wayfarers hostel, which I highly recommend. It was superb with every detail thought about. They were even able to sell us some new brake blocks for our son’s bike, which saved us a trip to the bike shop. Looking at the route profile for this day I was feeling daunted. 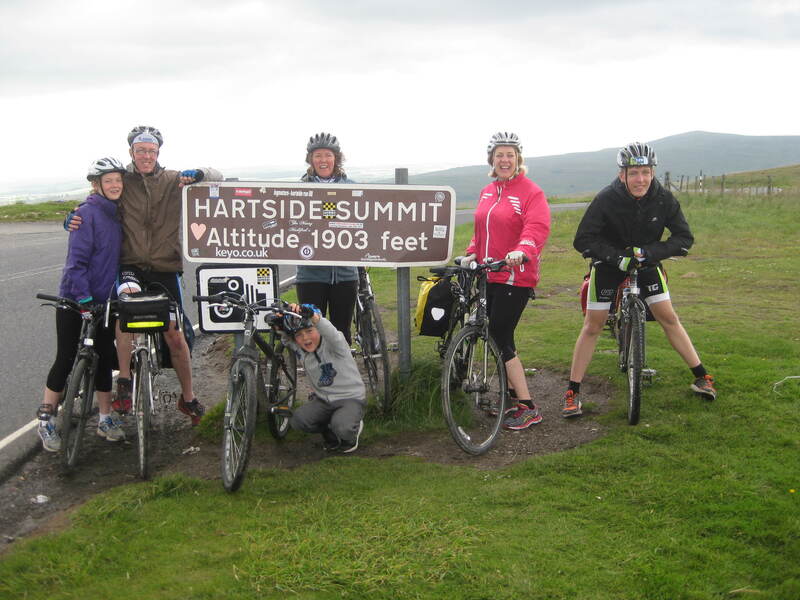 It contained the biggest climb of the ride – Hartside pass. This was nearly three times the size of Whinlatter pass, which I had found exhausting. As well as the stunning scenery there are lots of interesting sculptures and things to look at en route. Here’s a scarecrow bike rider we came across on our way to Hartside. The first part of the day was over “lumpy” terrain. Every time we went up and down yet another steep little hill all I could think was “this isn’t even the “real” hill”. We stopped for an early lunch a few miles before the start of the big climb. Once on the climb we took things slowly with lots of breaks. We had arranged to meet my mum and dad (our support crew) at the cafe at the top of the pass, and I promised the kids they could order whatever they wanted if they got to the top. When we first started climbing we couldn’t see exactly where the route went, but eventually we could see the road winding its way up the hill and a tiny speck that we deduced was the cafe. The tiny speck took a long time to get bigger, but eventually we got there and had some well-earned food and enjoyed the view. From there it was downhill all the way to Alston – probably the most fun section of the whole ride. I had expected to be good for nothing that evening, but I felt well enough for a stroll round Alston and we really enjoyed watching the red squirrels outside Alston Youth hostel. We knew this day had the steepest climb on it, and the highest point of the entire ride. At Nenthead we cycled up into the cloud, and although most of the country was dry we got wet (again). As soon as we dropped out of the cloud the rain was behind us and the rest of the day we had lots of lovely sunshine. 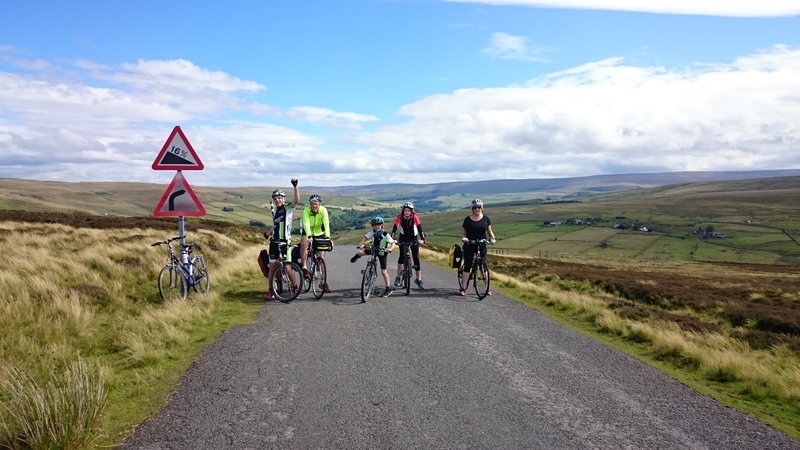 We all really enjoyed our cycling, so much so that just before Stanhope when there was a choice of routes instead of choosing the direct route we chose a longer route over the moors. To be honest I think if we’d known just how high that route would go we may not have chosen it, but we were all glad we did. We had the most spectacular views of the whole ride from up there. Steep hills and spectacular views – my favourite part of the ride. The day finished with another old railway track and a lovely, gentle decent to Hownsgill Viaduct, just outside Consett. We did over 40 miles and 1000 metres of climbing on this day. An amazing achievement for all of us, but especially me and our nine year old son, who was still riding at the front with a smile on his face at the end of the day. We knew that this was going to be our easiest day. 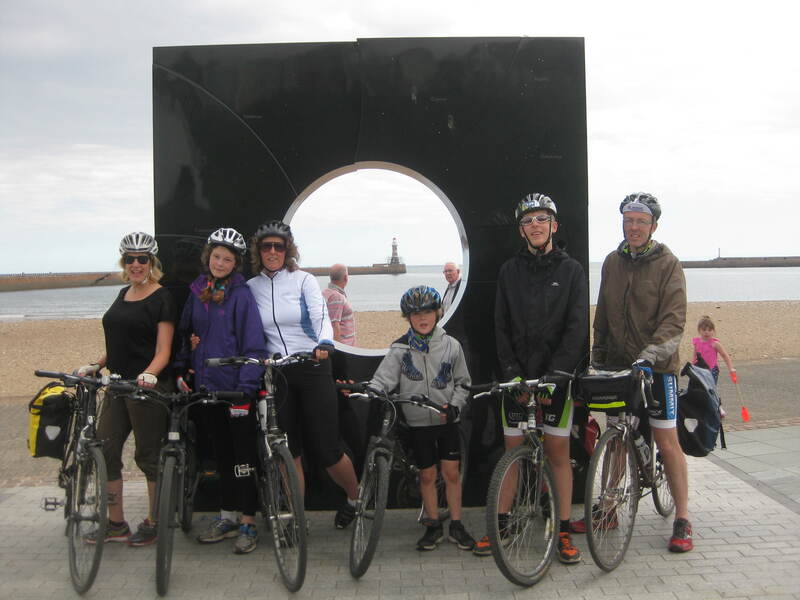 All the uphills were behind us and it was more or less 27 miles downhill to the beach at Roker. However, we got a bit carried away with ourselves and chose not to pack lunch in our panniers, confidently stating we’d eat lunch at the beach. This was an error, as we didn’t get to the beach until after 2pm, by which time we were all starving! I think we would have enjoyed this day more if we’d rushed it a bit less. The scenery was still really pleasant and even the route through Sunderland avoided the worst of the Traffic. We found a great cafe at the finish: The Beach House and proceeded to order an obscene amount of food. I think we shocked our waitress when it all got eaten, and the kids still found room for ice cream. All in all the ride was a brilliant experience. It increased my confidence in my physical abilities and will be remembered by the whole family for a long time to come. Keswick YHA was very busy and had multiple flights of stairs to access our room, which was on the small size. The self catering kitchen was also relatively small and ill-equipped for the number of people trying to use it. However, it was centrally located, with a lovely balcony overlooking the river and there was a fantastic park across the river. Wayfarer’s stood out as the best quality and best value accommodation. 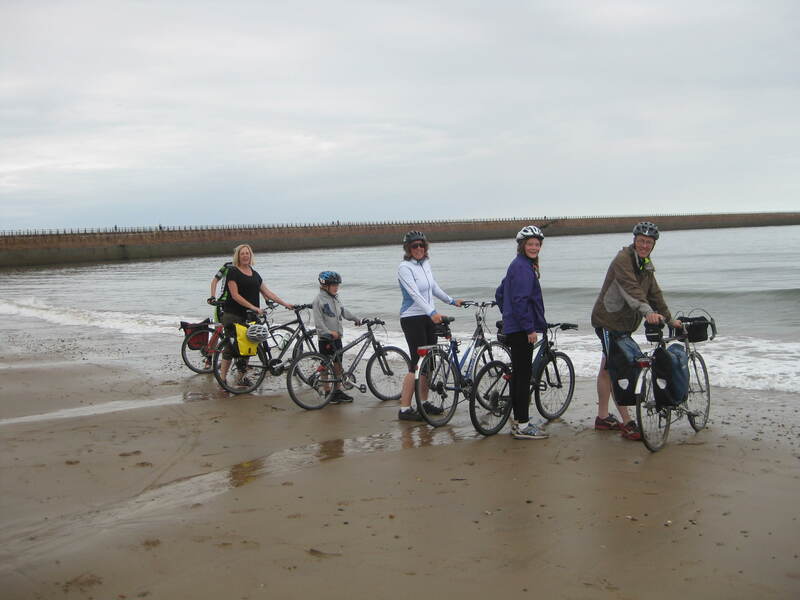 It is only a few years old and has been set up to cater for C2C riders with careful attention paid to what is needed. I highly recommend this hostel. Alston Youth Hostel was surprisingly quiet, with only 2 other guests apart from us. This meant we had all the hostel facilities pretty much to ourselves. This was an older hostel, and the only negative was that they still use sheet sleeping bags, which I thought had been phased out years ago. The wardens put feeders for Red Squirrels outside the lounge window and we spent a long time watching these fascinating creatures. This bunkhouse was brilliantly located on a farm right on the C2C route. It offers basic accommodation, and is aimed at the budget conscious rather than the quality focused, but it worked well for us. Despite taking packed lunches and plenty of snacks with us each day, we also stopped at several eateries along the route. We were the only customers in this pub/restaurant on a rainy lunchtime. It seemed a bit posh for us muddy, wet cyclists, but we were too hungry and cold to travel on to an establishment geared more towards cyclists. The food was great and reasonably priced. I expect nearly everyone who makes it up Hartside stops here. It’s got great views and offers traditional transport cafe type food. It wasn’t great for gluten-free options, even the chips had gluten in, but fried eggs and chips put a smile on my daughter’s face. There was a real sense of celebration as we ate here, having completed the biggest climb of the route. A lovely spot with fabulous soup, chips and hot chocolate, and a wood burning stove; great for drying wet clothes. It also had a lovely outside area, which I’m sure is popular in sunnier weather. I highly recommend this. It’s nearly opposite the finish sculpture, the décor is lovely, there’s a great view of the seafront and the food was fabulous. They are also well equipped to deal with food intolerances. Thank you to everyone who has donated on my just giving page and/or sent me messages of support. It really helped on some of those hills to know I had so much support. I’m thrilled that to date we’ve raised £790. My just giving page for Invest in ME is still open if anyone else would like to make a donation. This entry was posted in my experience. Bookmark the permalink. A fantastic blog ! Well done to the whole family ! A special high five to you for completing this challenge after all you have been through this last few years, just deciding to attempt it was vey courageous. Reading about your recovery gives us all hope that improvement is indeed possible.